﻿ Hard to Find Good VPS hosting? Host1Plus Could be the choice! Home » miscellaneous » Hard to Find Good VPS hosting? Host1Plus Could be the choice! Hard to Find Good VPS hosting? Host1Plus Could be the choice! Are you an online business owner? If you are, you definitely have a website. What was the first thought which conquered your mind before starting your dream project’s website? I know it well. It was purchasing a domain and hosting. Hosting is the vein of a website. So buying it, is a critical decision you have/ had to take. Here I am introducing a reliable hosting provider, Host1Plus. I can assure you that this will not be the one which steals your money and serves you with the worst ever service in the world. Host1Plus is a web space providing company based in London, UK. It was started in 2008. With time they grew and now having more than 10 branches all over the world including the countries US, Singapore Britain, Brazil and South Africa. They have many types of hosting such as regular web hosting (shared), VPS hosting, Reseller hosting, SEO hosting and cloud hosting. This company has become an authoritative solution for affordable VPS hosting. Virtual Private Server is shortly called as VPS. It is one of the super- fine type of hosting which skyrocket the speed of your website. Hosting provider gives us a virtual machine with its own operating system, RAM, and even processors. I think you got a brief but clearer idea about VPS hosting, right? There are many VPS hosting providers. But you know that all that glitters is not gold. So how can you realize which is gold and which is not? Don’t rack your brain. Here come the VPS hosting of Host1Plus. If you are planning something serious, don’t go with regular shared hosting. Because there is a greater chance of crashing your blog after getting a lot of visitors. Going with VPS hosting is the best option. I strongly recommend not to kill your dream project by choosing a wrong service. You can open your wallet without hesitation for Host1Plus. Usually, VPS is expensive. But Host1Plus amazingly mixed it with affordability. You can easily upgrade anytime you want and install any software on your machine. They have 4 types of Virtual Private Servers. Bronze, Silver, Gold, and Platinum. All of the servers are running on Linux OS. If you want windows hosting, you have to purchase their cloud hosting. Bronze is cheap among all the four and having fewer features also. If you are just starting out, go with it. You can upgrade whenever your account will be loaded with more $$$. Platinum is the costliest and highly effective. You can click blindly if you have enough money. Quality guaranteed. While checking out we can customize the purchase. 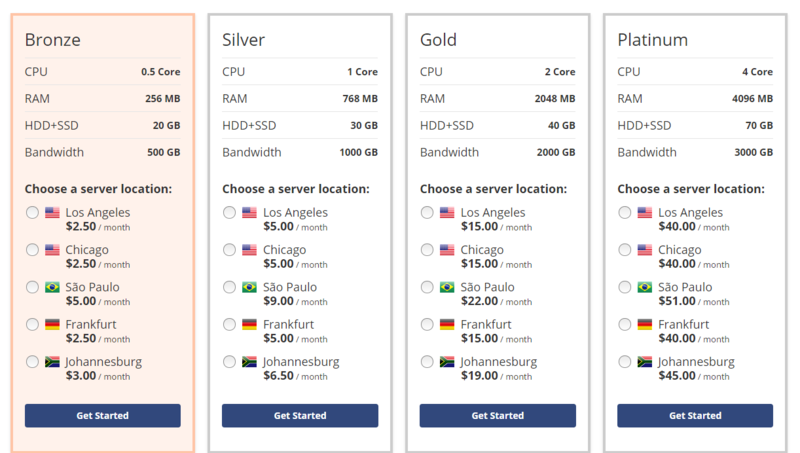 There are servers from 5 different places available (Los Angeles, Chicago, Sao Paulo, Frankfurt, and Johannesburg). Check the exciting features of Host1Plus VPS Hosting service provider! 7. Offering space in Hard Disk and Solid State Drive which indeed increases the speed of your website. Still you have this doubt in your mind? Then you haven’t read the above points yet. Have a look at the remarkable features of Host1Plus VPS hosting. What do you think now? Yes, it is worth every penny you spend. Don’t wait. Go now and transform your dream into reality. Their customers are enjoying good search engine ranking also. Host1Plus serves your website like it is their own. Just launch your site and relax. Downtime will not be a nightmare anymore. How To Make A Meme Free Online?